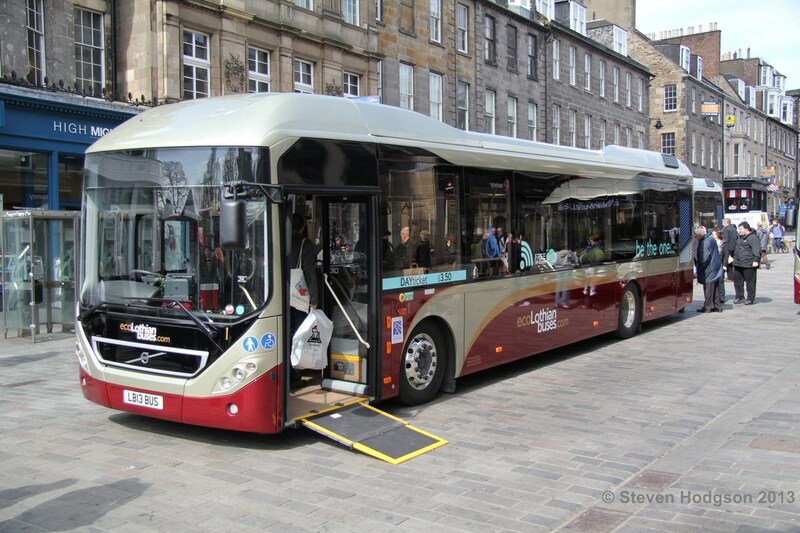 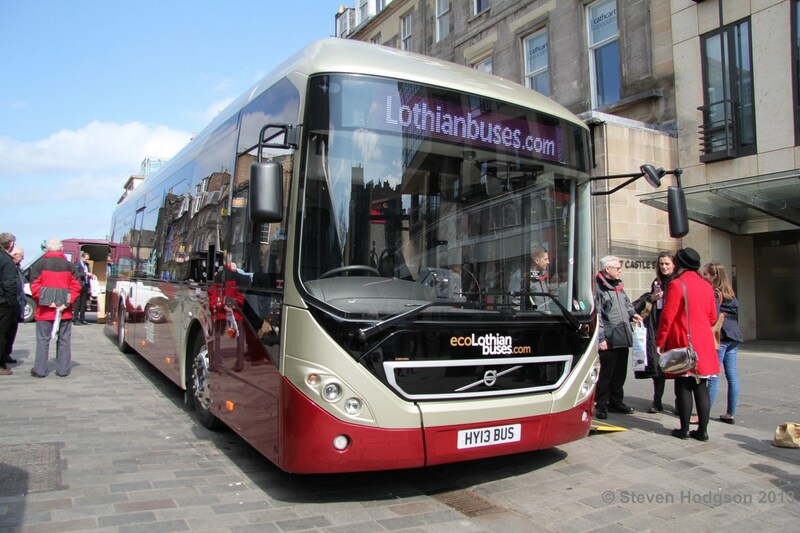 A public launch event was held by Lothian Transport at Castle Street, Edinburgh on Saturday 13 April to show the new Volvo B5LH hybrid buses, which will enter service on service 1 from Monday 15 April which runs between Clermiston and Easter Road, Edinburgh. According to the Lothian website "they have a host of eco friendly features which will save hundreds of tonnes of CO2 emissions and have a carbon footprint around 40% lower than a regular diesel bus"
Alloy wheels: Reducing weight and reducing fuel consumption. 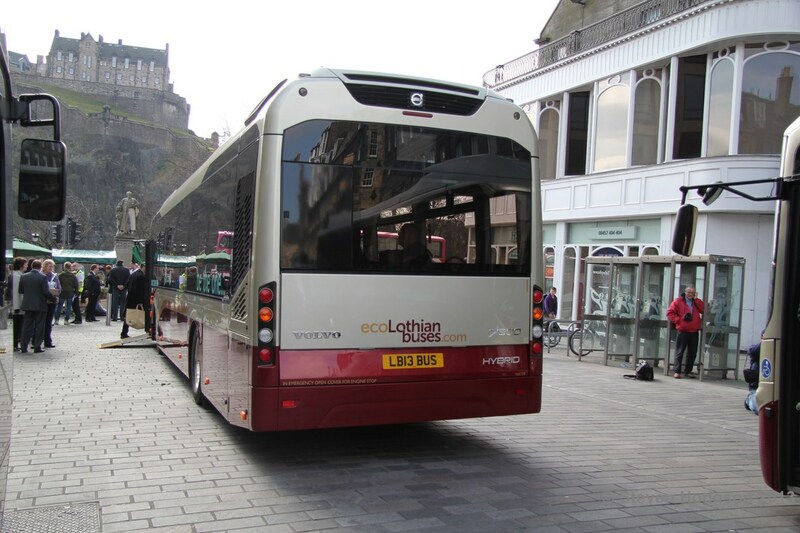 Stop-start feature: at many bus stops and traffic lights the engine will switch off and the bus will drive away purely on battery power. 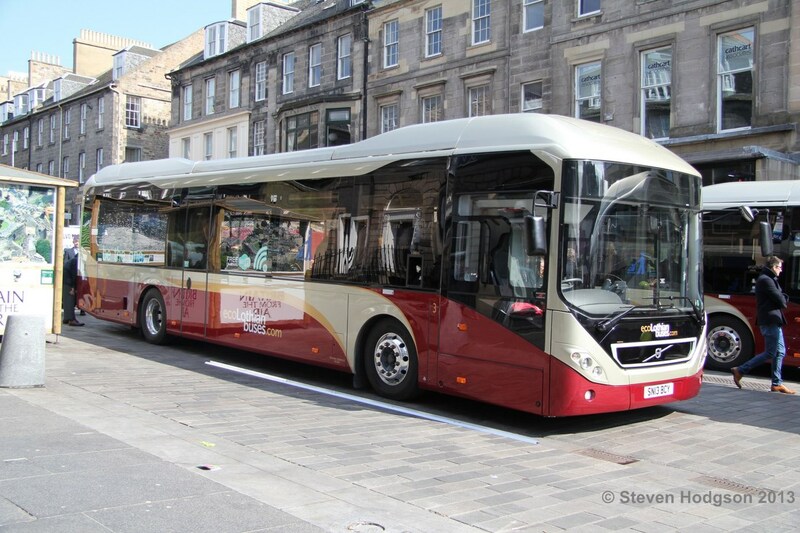 Thanks to Stephen Hodgson for information and pictures.